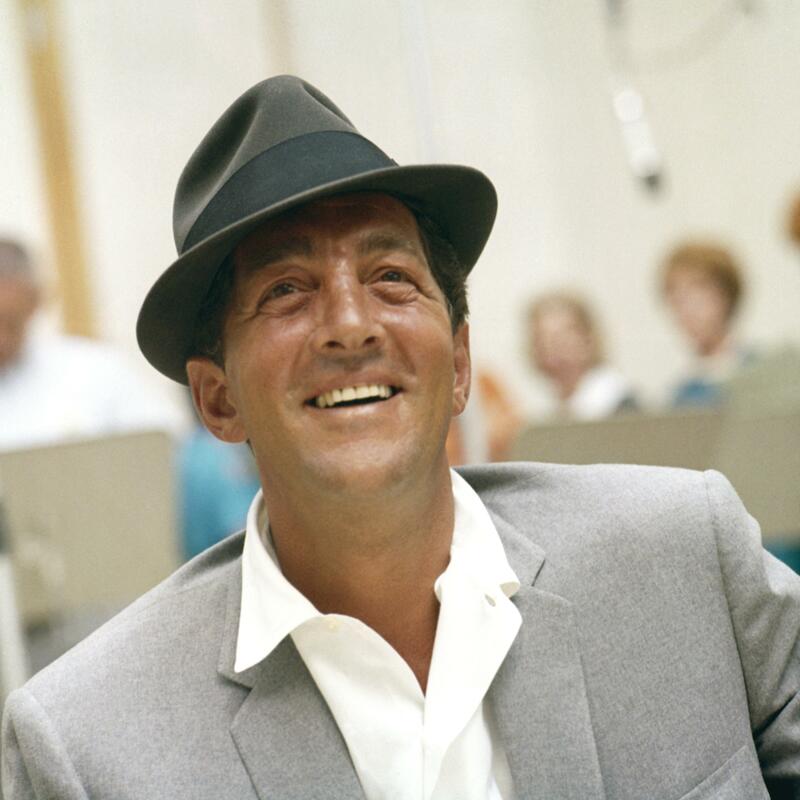 Dean Martin: “Cooler” than Frank Sinatra? In my quest for sophistication, I’ve started listening to Dean Martin and Frank Sinatra of the Rat Pack a lot recently. After hearing their music and reading some brief biographies, I’ve come to admire both of these men for their confidence and class. Cigarette or martini in hand, these virtuosos could sing, act, and crack jokes. Both flourished out of rocky beginnings: Martin was an amateur boxer who fought in bare-knuckle bouts because he couldn’t afford wrapping tape, while Sinatra had to carry his own P.A. system to perform at run-down saloons. And in their Rat Pack heyday, they were comfortable enough to crack innocuous jokes about race, religion, and gender yet ultimately principled enough to refuse to perform at clubs that excluded African-Americans and Jews. These were cool guys. Just listening to Martin’s “Who’s Got the Action?” and Sinatra’s “I Won’t Dance” when I wake up every morning makes me feel like a cooler person for the rest of the day, for real. In a sense, they’ve joined the ever-growing ranks of role models in my life as I seek to become a more complete person. It has to do with the idea of role models. Especially when we are growing up, the role models we choose for ourselves are critical to who we become. A lot of the time, these role models of ours come from popular culture; they are often recognized throughout much of society and demonstrate distinctive behavior or ideals that we want to emulate. The reason I think that Dean Martin is “cooler” than Frank Sinatra — I use “cooler” facetiously, considering he was nicknamed the “King of Cool” — or, rather, the reason that I like Martin better as a role model, is that he seemed to have his priorities straight. Though Martin divorced three times (once for his wife’s alcoholism, another time in the midst of a mid-life crisis), he was always if not outwardly recognized as a family man. 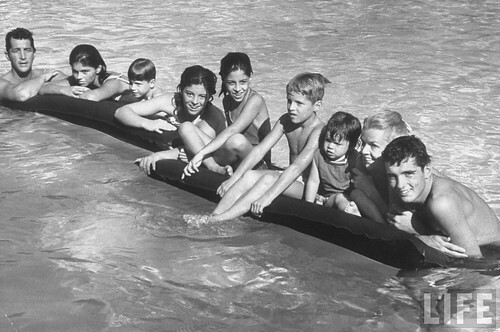 A father of 8, he cared immensely for his family even after his divorces, and he often left immediately after performances to spend time with his kids. It’s said that Sinatra was actually quite irked that Martin preferred quiet time with his family to a rowdy time with the Rat Pack. Martin was also shattered when his son Dean Paul Martin died in a plane crash and bowed out of a reunion tour with Sinatra and Sammy Davis, Jr. Furthermore, Martin, unlike Sinatra, enjoyed solitude. While he always was able to have fun during a night on the town , he much preferred being at home with his family, or playing golf, or eating alone at his favorite Italian restaurant in Beverly Hills. These two characteristics — a love of family and an ability to be alone with oneself– are important to emulate, particularly for Catholics. Catholics need to keep the family strong because familial love is often a child’s first experience of God’s love. Catholics also should learn to be alone with themselves sometimes, because in doing so, we can better discern God’s call and contemplate our lives.